Are you and your girlfriends planning a weekend getaway? Owatonna is a perfect location to meet and enjoy any and all of the options to catch up with the ladies! Check-in to one of our ten lodging properties and enjoy the weekend! 10 AM: Start your morning by enjoying a massage and manicure/pedicure at one of our many Spas and Salons. 12 PM: Discover a perfect lunch spot in the Historic Downtown District. Relax and enjoy your lunch while surrounded by beautiful historic buildings. 2 PM: Grab a cup of coffee at Central Park Coffee and complete your afternoon popping in and out of the unique boutiques and shops downtown. Find that unique piece of jewelry or clothing at Kristi’s for your night out with the girls. 5 PM: Freshen up back at your hotel before heading out to dinner at one of Owatonna’s Local Flavors! 10 AM: Visit the Medford Outlet Center for some retail therapy. Shop at great stores like GAP, Old Navy, Nike Clearance Store, Eddie Bauer, Bath and Body Works and many more unique retail stores at outlet prices. 12 PM: Feeling hungry? Grab lunch at The Kitchen. After lunch, satisfy your sweet tooth with a treat from Curly Girlz Candy or Russell Stover Chocolates, both featuring handmade indulgences. 2 PM: Take in the fresh air with a walk in Kaplan’s Woods Pakway. Discover the “Fairy Trail” and be sure to snap pictures and tag them with #visitowatonna! 5 PM: Check out one of Owatonna’s many Mexican restaurants for dinner! 7 PM: Interested in some evening entertainment? Take in a chick flick at Northwoods Cinema 10 or for live theatre check out Little Theatre of Owatonna! They offer musicals, dramas, comedies and children’s plays. Little Theatre performs four seasonal plays and on occasion, a fifth show for the Christmas season! Visit their website for show times. 9 PM: Round off your evening with a night cap at Torey’s Restaurant & Bar! 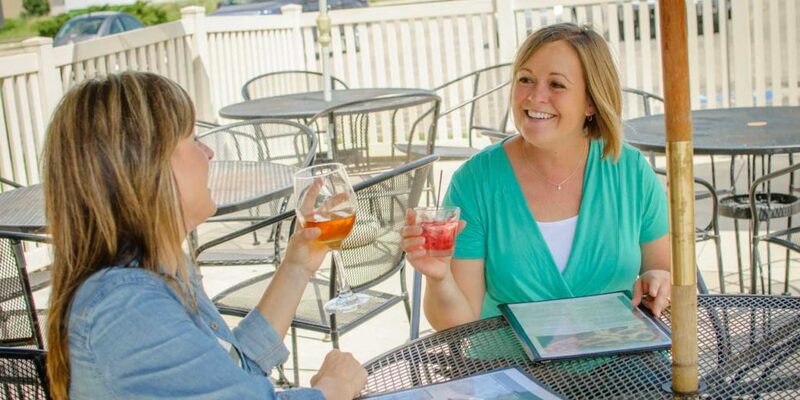 Enjoy a glass of wine or try a specialty Raspberry Truffle Martini before calling it a day in Owatonna!